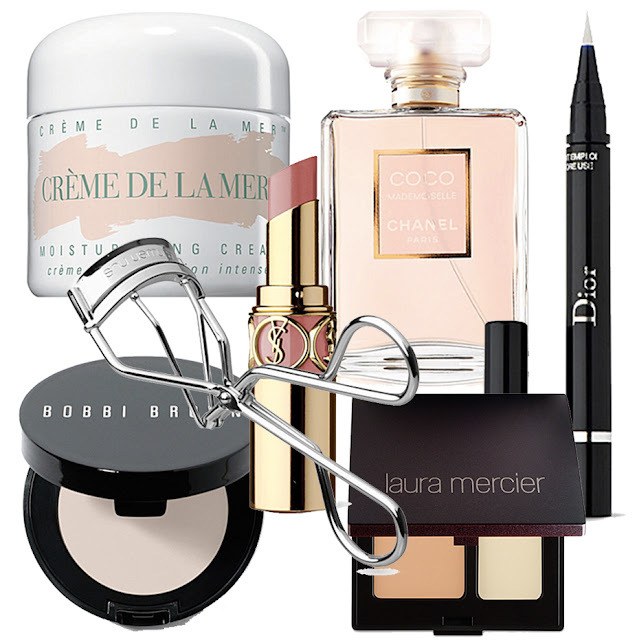 I thought I would put together a wishlist and realised that there were a number of products I would love at the moment, all of which are absolute beauty classics, hence the classics post. All of the above products I adore but have never brought myself to splurge on them. If money was no odds though, all of these items would be essentials in my make up bag. The most luxurious cream on the planet and a total cult product, only the mega rich can indulge on this beauty regularly. The 250ml tub is £660 so you can imagine how beautiful it must make your skin, but just once would I love to own a little tub of this gem from the sea. Although I have bought the same eyelash curlers from Boots for the past ten years, it doesnt stop me from lusting over the most reputable eyelash curlers out there. I could not tell you another product that Shu Uemura sell, I just know that they sell the ‘best’ eyelash curlers on the market. Eyeliner pens such as this one are something I would love to use regularly. There are quite a number of this style of pen on the market, but there is something about Dior that is such a luxury, I would love to give this liner a try. A well loved concealer duo that enables you to mix together two products to gain the perfect shade. I have seen bloggers use this and it is so highly pigmented it looks wonderful. So many people own this corrector but because it is such a small amount of product for the money, I have always stuck with Mac Studio Finish instead. Yet, rather than concealing, this product aims to correct skin imperfections before concealer is applied above. The product is often added alone however and looks like the most wonderful concealing product. With a sweet and feminine scent, Coco Mademoiselle is a scent I always wish I smelled of every single day. I do feel that it smells extremely similar to Miss Dior, which I do own so I am happy for now. But when my Miss Dior runs out, I will cry and then I will buy myself some Chanel. Just for the packaging alone I want a Saint laurent lipstick. I have heard they are supposed to be really lovely on the lips and last for a significant amount of time, but the price tag for a lipstick is rather extravagant. Maybe one day I will take the plunge. What classic products are on your wishlist at the moment?